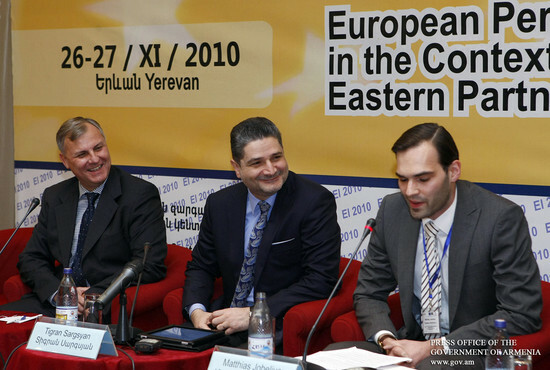 Prime Minister Tigran Sargsyan attended today the 6th “European prospects in the framework of Eastern Partnership Program and in the process of Armenia-European Union association agreement talks” conference as organized by the International Human Development Center NGO with the assistance of EU Delegation to Armenia and the Friedrich Ebert Foundation. 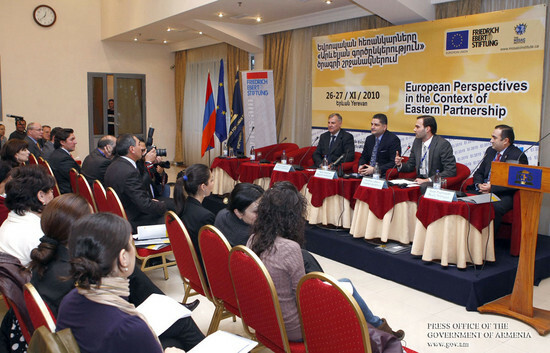 The pace of EU-Armenia integration is introduced to experts and the public at large on the sidelines of this annual forum in an effort to boost the role of civil society and NGOs in policy-development and decision-making processes. 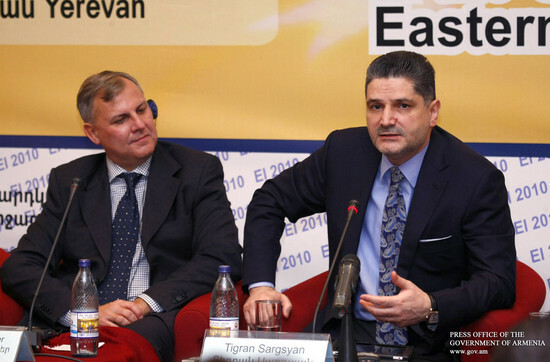 Welcoming the participants on behalf of his government, Tigran Sargsyan highlighted the impact of EU-Armenia cooperation in terms of improved governance, economic development, fostered Europe-bound foreign trade turnover, as well as strengthened democracy and rule-of-law in Armenia. 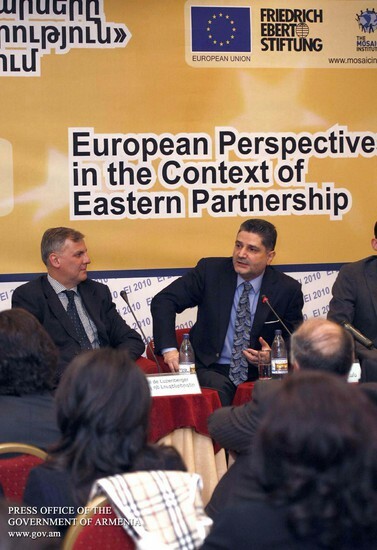 Speaking on the outlook of cooperation, Prime Minister Sargsyan said that institutional reform should lead to EU-harmonized self-organization of the Armenian society. 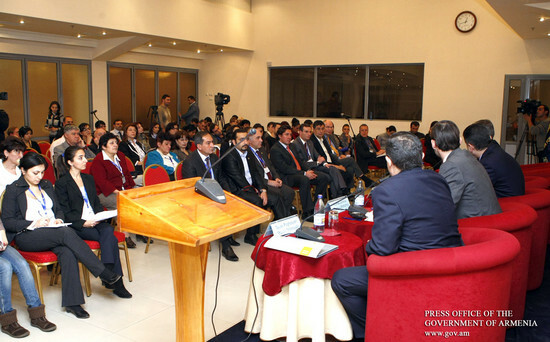 The head of government also referred to civil society-building efforts in Armenia. In his words, non-governmental organizations need shouldering a role in all these processes: “Civil society is made up of individuals who seek personal and family well-being on their own.” In this context, small and medium-size enterprise was given a spotlight by the Prime Minister. In conclusion, the Prime Minister answered the questions of forum participants.